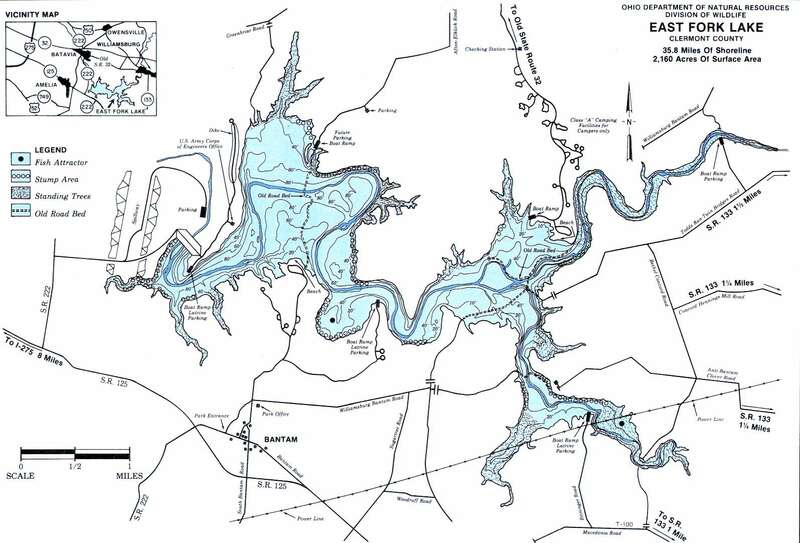 East Fork Lake East Fork Lake is in Clermont County. The lake is 2160 acres with 35.8 miles of shoreline. 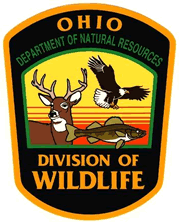 This lake lies within Ohio Division of Wildlife District Five(5). Location East Fork Lake lies is situated off of State Route 22 approximately two(2) miles south of Batavia and 25 miles east of Cincinnati. Access to the north side of the lake is from State Route 32 between Batavia and Williamsburg. Access to the south side is off of State Route 125 near Bantam. Distance from Major Cities 25 miles east of Cincinnati. Approximately 90 miles southwest of Columbus. 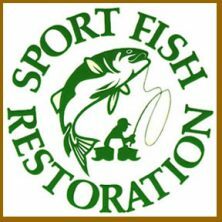 Fishing Opportunities East Fork Lake contains; *Largemouth *Smallmouth and Spotted Bass *Crappies *Bluegills *Catfish. A variety of *Sunfish *Suckers *and Carp are also found here. Boating Information Public launch ramps are located at the dam site ~ in the park on the south side near Bantam ~ at Reisinger Road in the Cloverlick area. Other boat launching for fisherman will be provided at the far eastern arm of the lake near Williamsburg. North side access is at Afton Elk Lick Road. A class A campground with launch ramp and beach is located on the northeastern side. 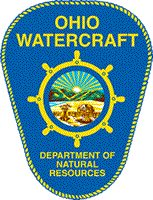 State Management The Ohio Division of Wildlife extensively monitors the fish community and water quality.